Calco Q3 2016 Industrial Report | Calco Commercial, Inc. The San Francisco industrial market ended Q3 2016 with vacancies increasing slightly to 2.8% from Q2 vacancies of 2.7%. Although the vacancy rate reflects a net negative absorption of 16,706 square feet, vacancies remain south of 3% . Reported rents for the same time period have increased by nearly 4%. Sublease vacancy also decreased modestly in Q3 2016 to 200,217 square feet from 173,183 square feet reported in Q2. Conversely, industrial sales activity is up in Q2 2016 with total sale revenues equalling $131,278,489, and averaging $215.42 per square foot, compared to $100,718,100 in revenue, and $204.17 average per square foot in Q1 2016. Year-over-year sales are lower than 2015, but investors are seeing higher CAP rates averaging 5.62% in 2016 compared to 4.47% during the first half of 2015. The San Francisco industrial leasing activity, as reported by CoStar, for Q3 2016 decreased slightly, however other firms, including Calco Commercial, have reported steady leasing activity with positive absorption rates. Calco Commercial leased several notable industrial properties in Q3 including: 2045 McKinnon Avenue (25,251+/- sf), 650 Potrero Avenue (21,650+/- sf) and 201 Toland (32,580+/- sf land). Calco Commercial leased 61,680+/- square feet in Q2 compared to 125,253+/- square feet in Q3. Due to the continued lack of quality product coupled with no new construction, and the redevelopment of industrial properties into other uses (i.e. residential & office) demand for industrial space persists. For these reasons, now is the time to consider leasing, subleasing, selling or re-positioning your asset. Calco Commercial is a leading industrial & commercial real estate firm. 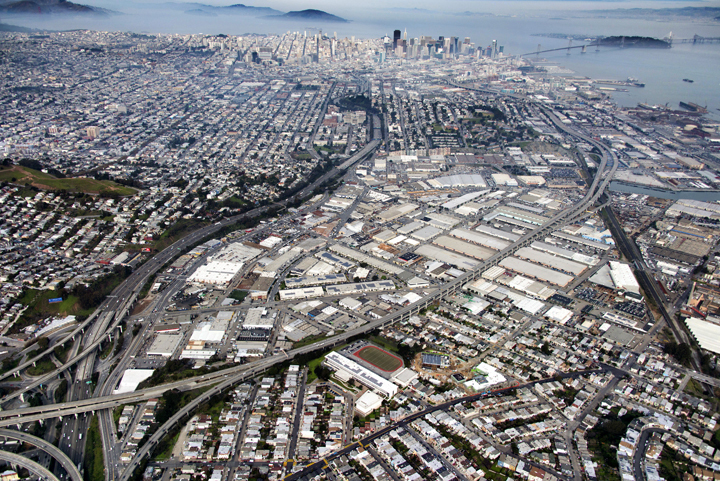 We have completed more transactions in the industrial market than any other firm in San Francisco. We have decades of experience in Landlord /Owner representation, and repositioning assets into net leased properties with in-place income streams. Calco Commercial is a full service firm that can help make the most of your real estate properties and investments.